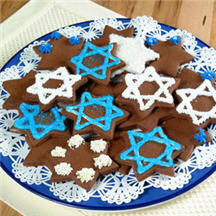 CooksRecipes has traditional and contemporary Jewish holiday foods. These special chocolate cookies are sure to become a holiday favorite! Add a few drops of food coloring to the frosting for a festive touch. 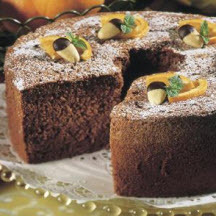 A splendid orange-scented chocolate-almond chiffon cake served with a cocoa-infused orange sauce. 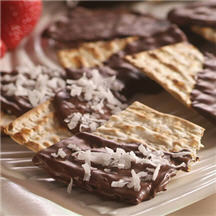 This recipe will satisfy any sweet tooth - not only during Passover, but any time of the year. They're sure to become a favorite!